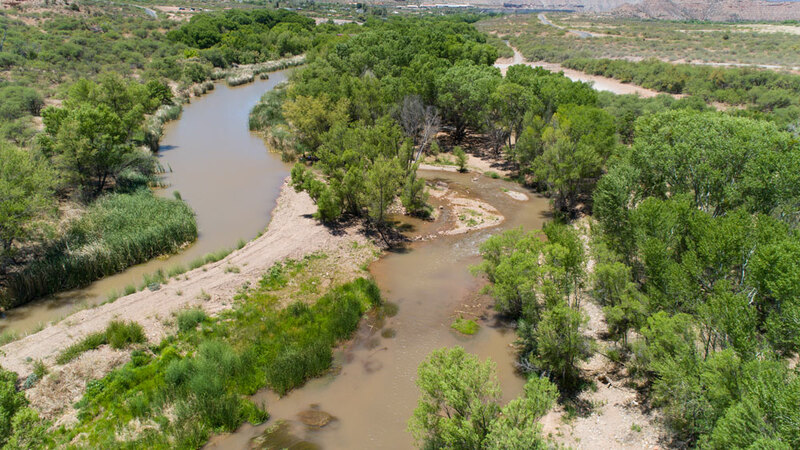 For the last four years, we have collected (almost) daily photographic data of the Verde River in Tuzigoot River Access Point (TuziRAP), near Tuzigoot in Clarkdale. We use an automated, pre-programmed, drone to take a series of aerial photographs – each day the same set, from the same altitude and angle. 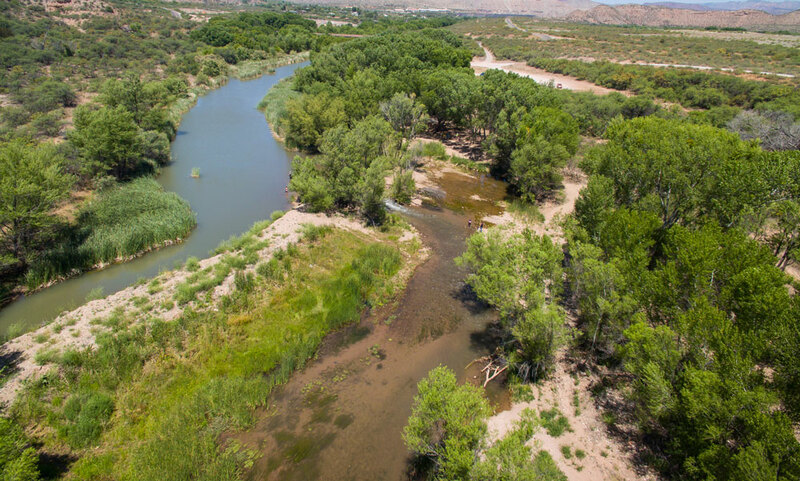 The drone shoots 16 images, along with a video of 1100’ of riparian ecosystem. Five of the photos are assembled into a high-resolution panoramic image, like the one above. The photos concentrate on areas that show significant changes in the system, such as water depth, growth of vegetation, morphology of the riverbed, and impacts of recreational use in the park. Together, these images give us a detailed record of how the river changes season to season, day to day, and how changes in flows manifest themselves in the river’s streambed. We also use these pictures to “calibrate” flows that are the result of runoff that does not register on the Clarkdale Gauge because they occur downstream of the gauge. Photo monitoring is also used to understand how the river’s riparian vegetation grows, declines, spreads, etc. For instance, if we want to know when the first Arizona Alder leafed out in 2015, 2016, 2017 and 2018, we have those data. Is the cattail cover increasing, decreasing, or remaining constant? Just look at the images. Are trees dying earlier than they have in the past? Let’s check the photo library. Photographic monitoring is, as they say, worth 10,000 words! If you need to see a particular day’s photos, just let us know.